FitCoach is a brand-new fitness app for women who want to start a new active lifestyle, build healthy habits, lose weight, get fit, tone up and feel amazing. The FitCoach app is developed specifically for women who care about their health and want to slim down and get in shape but don’t have enough time to go to the gym. HOW TO START WITH FITCOACH? Enter your personal data such as age, height, weight, fitness level, etc. According to your goals and personal data, our smart algorithm will suggest a personalized workout plan – a combination of cardio, strength, recovery and LISS (walking, running, cycling) exercises that will enable you to maximize your results. The basic plan will be created for 60 days and displayed in your calendar. Each week the workout plan will be updated according to your progress and feedback (were the previous workouts too easy or too difficult for you). Additionally, you will have access to a library of 300+ workouts. 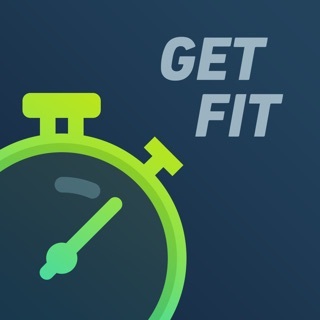 FitCoach integrates with HealthKit, so you can export nutrition and exercise data from FitCoach to HealthKit, and import fitness data and weight and body measurements from HealthKit to FitCoach. You can download the FitCoach app for free. Further use requires weekly, monthly, 3-month, 6-month or lifetime subscription. - When opting for a subscription, you pay the fixed price for your country, which is displayed in the app. - You can manage your subscriptions and turn off auto-renewal by going to your Account Settings after purchase. - When cancelling a subscription, your subscription will stay active until the end of the current period. Auto-renewal will be disabled, but the current subscription will not be refunded. - Any unused portion of a free trial period, if offered, will be forfeited when purchasing a subscription. I tried this app for my 1 week free trial and really liked it! Had high hopes. I went ahead and did the monthly subscription, paid the $10 and first night after I paid, the app will not save my workouts! I did my strength exercise series 3 times thinking I didn’t hit save but I did and I rated my workout. After I press save the app returns to screen and doesn’t recognize my workout as complete. When I look at my Training History it shows as I didn’t complete anything! For $10 I expect to AT LEAST have the app consistently track my work outs! Very frustrating!! We are sorry to hear that you had a problem with our app. Please contact us at support@fitcoach.fit to report your problem. We will do our best to resolve this issue. When going to update my profile, it doesn’t allow you to go and make corrections on the areas of your body that you want to work on. I wanted to add my arms and legs. I would recommend that the price for the app should be monthly and more along the lines of $10 a month. Apple charges $10 a month for the music, the price is affordable and allows more people to purchase the app. Thank you very much for your review we really appreciate it as our product is fairly new and we constantly improving it, developing new features and trying to make it more effective and useful for our users. In the nearest updates, there will be music and voiceover. Downloaded this app to try it out. Tried it one day and decided it wasn’t for me. I went through the app and the download and could not find where to discontinue subscription. I sent an message asking to not continue after trial period. I am still being charged monthly and the app was deleted a week after I downloaded. It is amazing that they will happily take your money but not give you anyway to cancel. We are sorry to hear that you had an unpleasant experience with our app. Please note that we cannot manage your subscriptions or refund costs as all transactions are managed by the Apple Store. Please contact Apple Support concerning this issue.